On Friday, March 15th, students across the globe protested against Climate Change as part of the #FridaysForFuture movement. The movement was first begun by Greta Thunberg, a Swedish schoolgirl who bunks school and sits outside the Swedish parliament every Friday and is a Nobel Prize nominee. She claims that she will do this until Sweden makes progress towards fulfilling the Paris Agreement. Initially, she used to sit alone but, now a horde of students join her outside the parliament. In fact, the movement has now expanded and is no longer limited to Sweden. Students from more than 2000 cities in 123 countries protested against Climate Change, joining the movement Greta began. 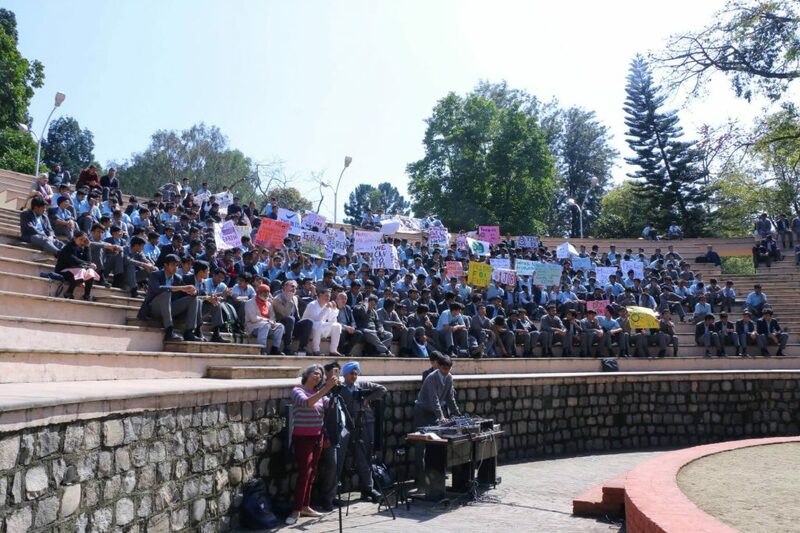 In India, numerous events were conducted across the country, of which two of the protests were in schools. 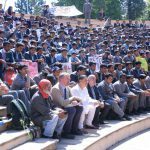 Spearheading the movement in Uttarkhand was The Doon School. 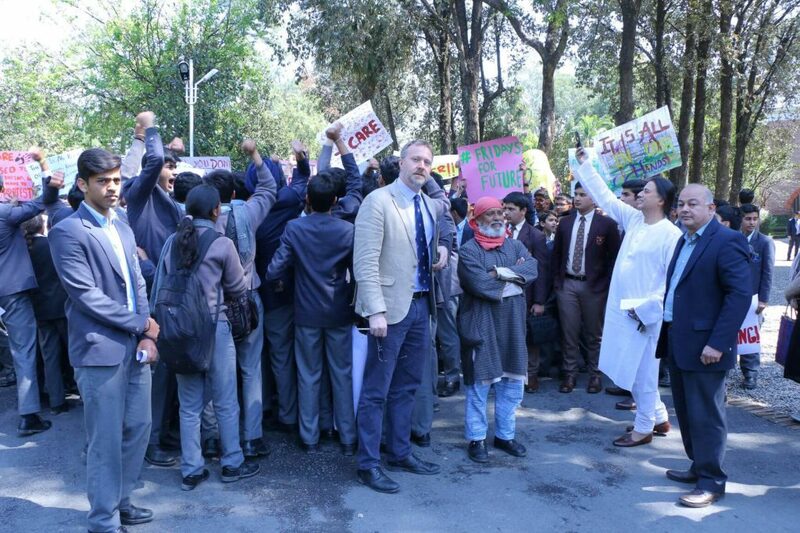 The school staged a protest inside their campus. 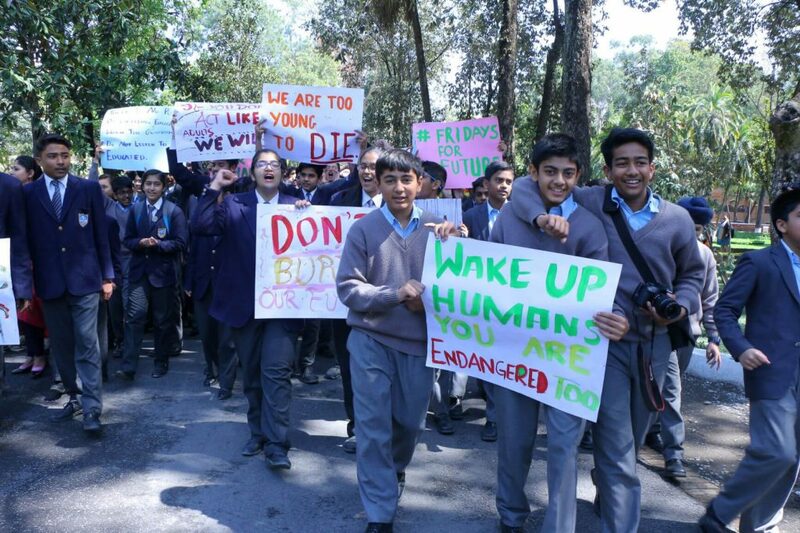 Students from The Doon School and neighbouring schools, namely Cambrian Hall, Welham Boys, Hopetown Girls and Unison World School, and Gyanodaya Meerut marched as a form of protest against a government that they felt isn’t committed enough to solving Climate Change. The students marched because they believed that the required action wasn’t being taken in status quo. 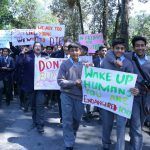 While marching, they chanted slogans like ‘Adults, use your power’ and ‘We are the change’. Following the protest, five speakers addressed the gathering. 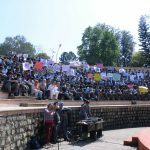 The first speaker of the event was the School Captain of The Doon School, Nandil Sharma. He spoke about how in today’s day and age we have a choice between whether or not to act, and that we need to come out on the right side of it. He emphasised the fact that although the boys were, at the time, supposed to be studying for their upcoming examinations, felt that all efforts would be futile because there wouldn’t be a future if we continue on the path we are currently taking. He further spoke about why we need to be aware of the Climate Change crisis, and why we need to try to make a change due to the political inaction of our leaders. The second speaker was the president of Tthe Doon School Old Boy’s Society, Mr. Rahul Kohli, who spoke about how numerous businessman, politicians and even environmentalists were oblivious to the damage being caused by climate change. He mentioned the fact that his generation has failed to do anything about it and how it was up to the current generation to become the change. He then advised the students to question the effect everything has on the environment and speak out against what we feel is wrong, as only then can we make a change. Mr Kohli was followed by Padma Shree Dr Anil Kumar Joshi, founder of HESCO who has vast amounts of knowledge in the field of ecology. Dr Joshi spoke about the effect of urbanisation on the environment, and our incessant need for comfort which comes at the cost of the environment. He spoke about how countries are more worried about their economy than their environment, and the fact that we began caring about the environment only once Greta Thunberg took action. However, this feeling of love for the environment needs to come from within us, and we need to implement what we have learned into our everyday lives and make a conscious effort to save the environment. 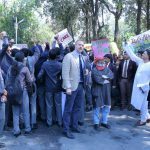 The fourth speaker was the Headmaster of The Doon School Matthew Raggett, who informed the crowd about the frightening facts of Climate Change, and the school’s efforts to reduce its impact. The last speaker was Bhavya Rajgariha who gave the vote of thanks. 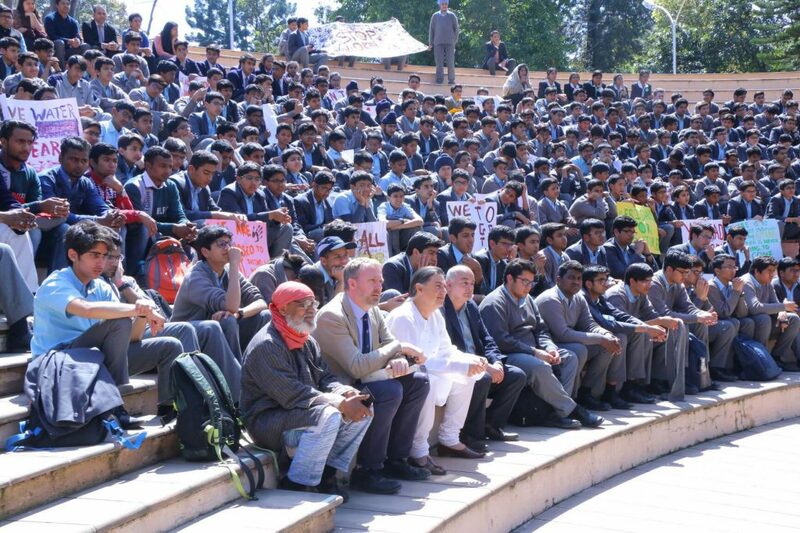 Also present on the occasion were Mr. Kamal Ahuja, Deputy Headmaster, Ms. Stuti Kuthiala, Deputy Head of Pastoral Care, Mr. Debashish Chakravarty, Deputy Head of Academics, and Mr. Piyush Malaviya, Director of Public Affairs at The Doon School.